It is a buyer’s market right now for sound suppressors. There are dozens of companies making quality models these days, and more are getting into the game. I’m talking manufacturers like Daniel Defense and even CZ-USA. This kind of competition drives prices downward while makers seek new, innovative solutions to help themselves stand out in the marketplace. That’s why we’re starting to see suppressors made with the help of computer modeling programs that can simulate gases expended from firing a round, for example, as well as 3D-printed designs and more. Well, we need to add another new manufacturer to the list: CMMG. Missouri-based CMMG has been around since 2002 and is known for its complete AR-platform rifles and pistols, parts and conversion kits. If you need a new AR or something to upgrade your old one, CMMG is a great place to start. And now the company is offering a complete line of DefCan suppressors to take your favorite AR to the next level. As you already know, suppressors reduce the sound signature of a firearm to help prevent hearing damage. On top of that, if you’re a hunter, you’re less likely to spook game while saving your hearing with a suppressor-equipped rifle. And your neighbors will appreciate you a lot more if you invest in a silencer for backyard plinking time. Of course, sound suppressors have to be able to do several things at once. They have to reduce a firearm’s report while also being relatively lightweight and durable. Nobody wants to add an anvil to the front of their weapon. And if you can get a suppressor that is affordable to boot, even better. This is where CMMG comes in. A few different suppressors are available right now, and most can be had as either direct-thread or quick-detach models. You can pick them up from the Silencer Shop, and they’re backed by CMMG’s “Lifetime Guarantee,” meaning the company will repair, replace or substitute parts as needed if a problem arises. Let’s take a closer look, and for more information, visit cmmginc.com. The DefCan 3Ti is a lightweight, full-auto-rated, .30-caliber suppressor that has a sound reduction rating of 32 decibels. Its all-titanium construction helps it remain lightweight without sacrificing any durability. Available in either direct-thread (DT) or quick-detach (QD) configurations, the DefCan 3Ti is a workhorse for any bolt-action or semi-auto rifle. The barrel should be at least 16 inches long in 7.62mm NATO; 10.5 inches long in 5.56mm or 6.8 SPC; 8 inches long in 7.62x39mm; and 7.5 inches in 300 BLK. The 2Ti is a full-auto-rated 5.56mm suppressor that offers a sound reduction rating of 32 decibels. The blast baffle is made of Inconel while the rest of the can is constructed of titanium, making the DefCan 2Ti both lightweight and extremely durable. Both DT and QD versions are available. Your barrel should be 10.5 inches or longer for the QD version and at least 10.25 inches long for the DT version. The DefCan 9 is a full-auto-rated, 9mm QD suppressor. It’s made of 7075-T6 aluminum and lowers the host weapon’s sound signature by 32 decibels. In other words, when used with subsonic ammunition, the DefCan 9 will practically renders your gun ear safe. And with an MSRP of $700, it is also one of the more affordable 9mm submachine gun suppressors on the market. Finally, the DefCan 9 is sealed so that it requires no maintenance or cleaning. As you probably guessed by now, the DefCan 45 is a full-auto-rated suppressor designed for weapons chambered in .45 ACP. With a sound reduction rating of 30 decibels, the DefCan 45 is a perfect complement to pistol-caliber carbines like CMMG’s MkG Guard and Banshee platforms, for example. Like the DefCan 9, it’s built from 7075-T6 aluminum and has a hardcoat anodized finish. The Bi-Lock QD mounting system makes attaching and removing the suppressor incredibly easily. Our last model in the line is the direct-thread DefCan 22, which is designed for rimfire weapons. Rimfire suppressors can make for some extremely fun range time, especially if you’re teaching someone to shoot for the first time. The DefCan 22 helps by reducing the already-quiet .22 LR by 40 decibels, and the can weighs just 2.7 ounces! Its compact design will add very little to the host weapon’s overall length, and it can be used with .22 Short, .22 Long, .22 LR, .22 WMR, .17 HM2 and .17 HMR ammo. However, this model is not full-auto rated. 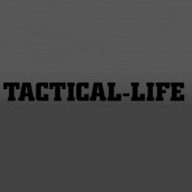 This article is from the August-September 2018 issue of Tactical-Life magazine. Grab your copy at OutdoorGroupStore.com. The post 5 New Affordable DefCan Suppressors From CMMG appeared first on Tactical Life Gun Magazine: Gun News and Gun Reviews.